Nokia X-6 is very good Mobile So I like it. It's Quality is very good. it is the best mobile in its price range..
great camera, music quality is awesom..
best thing is the plastic use to make it .. even if it falls body opens up but don't break ..
in nokia x6 video recording is good or bad just tell me guys bcoz i dont think so that the video recor is good in it ? AnonD-8239, 11 May 2011It's a good one but I still find something missing. Has anyone any idea of connecting the PC w... morejst go to gallary.mobile9.com select your phone and then click softwares. There search vpn... You'll find a package containing 7 softs in it. All r free and useful for remote accessing desktop or laptop..
Its a great entertaining phone.camera qualitiy and headphone sound quality is ausome.touch is very smooth.i like it. I want know the price of this mobile, Could you please tell me. last day i sell the samsung corby 2. The most rubbish phone in world. First its looking just like china mobile. 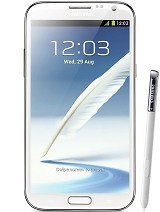 Acctuly when i wnt to buy it i saw its specification on net. But after brought it every budy told me is it chines mobile. 2.web browisng is very poor. No flash lite in browser. 3.touch quality is good not best. Can do multitasking in samsung but its got very slow. They dont know without a good os multitasking is not possible . wast a much money on it. Its not that phone which i want. Samsung cant take place of nokia. Nokia os and nokia is best.